Hi everyone! 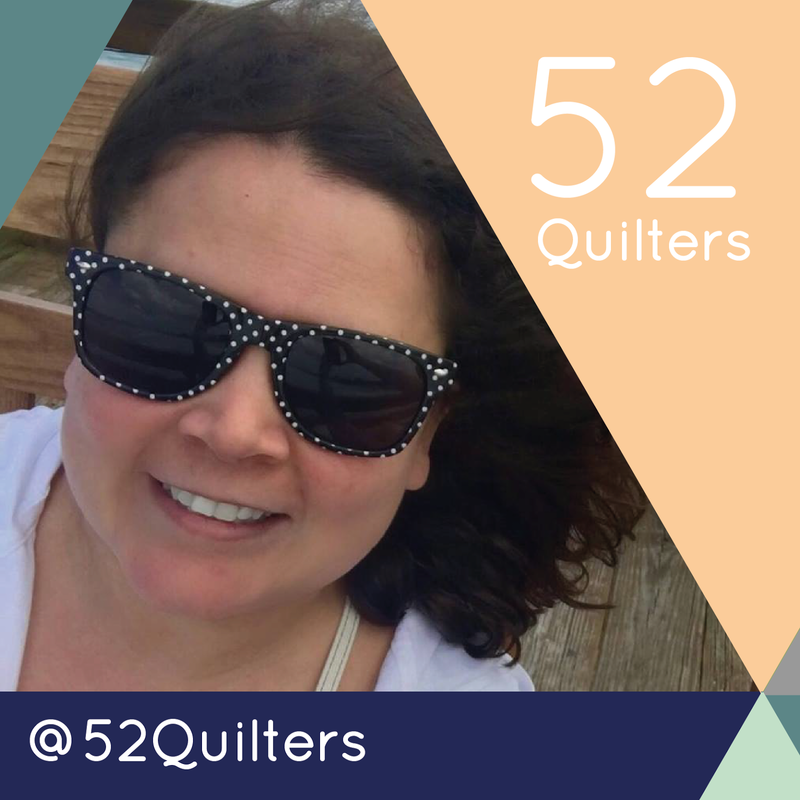 I'm so thrilled to be taking over week 48 of 52 Quilters. Here is a bit more about me! My name is Joanna and I live in the Columbus, Ohio area with my three dogs. I moved to Columbus 3.5 years ago for work. I used to live in Florida, and I still get asked if I mind the snow (the answer is no, I actually love it). I have been a baker and a cross stitcher since I was a child. 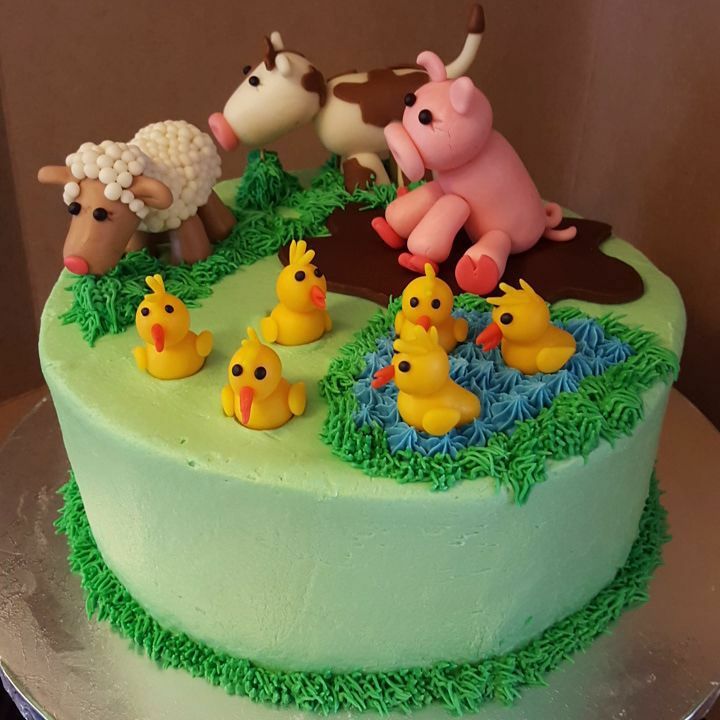 I learned to bake from my grandmother and to cross stitch from my aunt. I dabbled in sewing briefly in middle and high school, but it never really appealed to me back then. Then, in 2012, my sister told me she took a sewing class and loved it, and I thought- why not? So, I bought a sewing machine, took a "learn to sew" class at a local studio, and I was hooked! 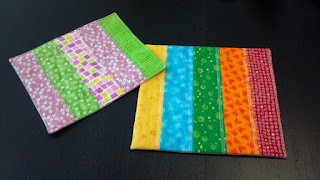 My third class was a mug rug class taught by Vanessa from Crafty Gemini, and I loved it! 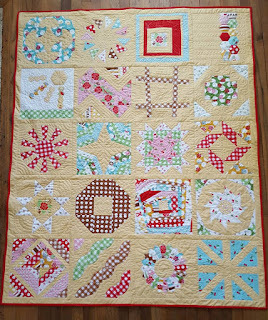 I was hooked on quilting and next thing you know, I was singing up for a BOM class on Craftsy. And the rest, as they say, is history. My first "quilt", on the right. I've always loved quilting rainbows. 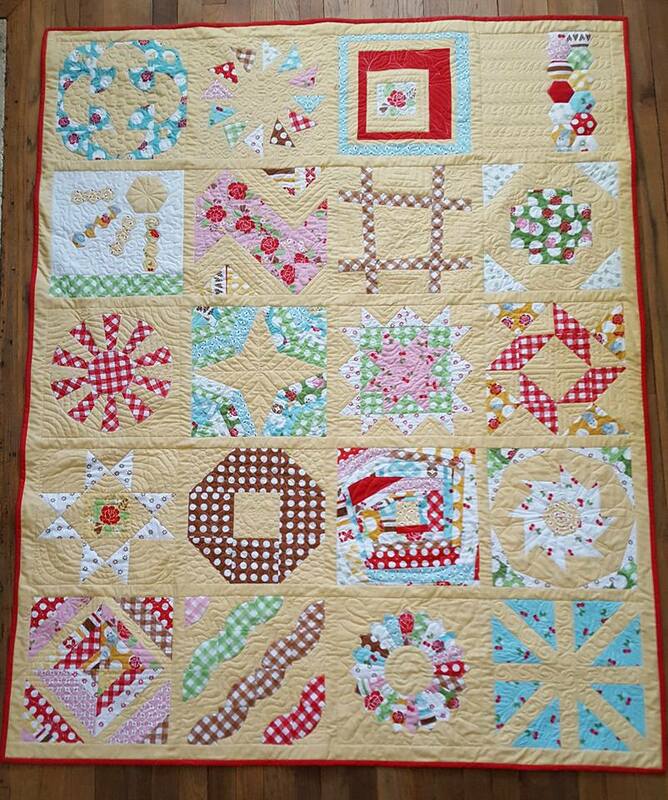 I love to quilt because it gives me a creative outlet after I leave my fairly uninteresting day job (insurance) and because it's not quite as messy as my other creative outlet, which is cake and cookie decorating. I also love to learn new things and challenge myself, so I rarely make the same thing twice. 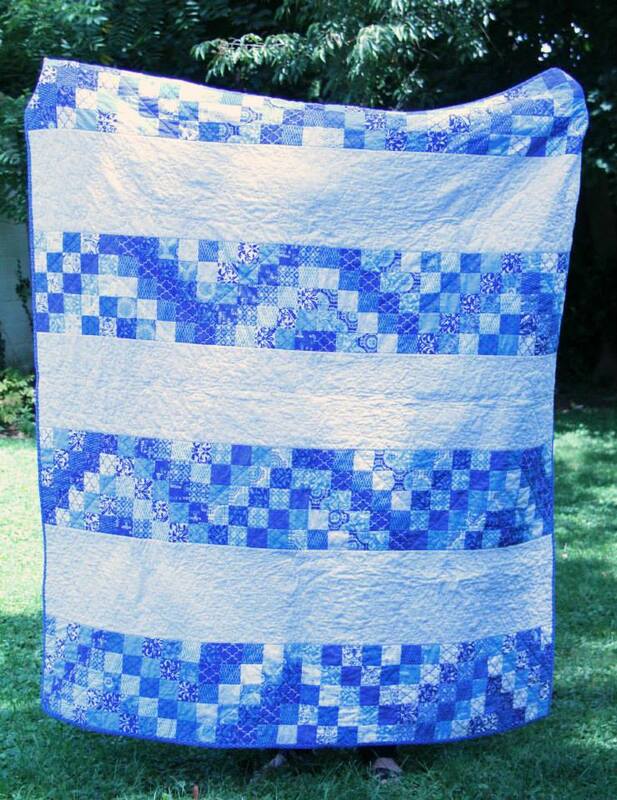 That's another appeal to quilting- there are so many patterns and techniques to learn! This week, I will be sharing a bit about my new sewing space and how I organize, as well as a project to make with your tiny scraps (also charity friendly!) and hopefully a few of my other works in progress. I will also share some pics of the Thanksgiving holiday around Columbus. If you've read this far, thank you for following my ramblings, and if you'd like to find me after this week, my Instagram ID is crafty_jojo. I look forward to interacting with all of you this week! Great to get to know more about you, Joanna!